Free! The public is welcome and encouraged to attend. California's latest drought left lasting effects on already stressed freshwater ecosystems and highlighted the need for a change is the state's approach to managing water for the environment. Securing environmental water will require better accounting of water supplies and demands, improved drought planning, and establishment of ecosystem water budgets that can be flexibly managed. To succeed, the multiple benefits of ecosystems should be promoted and synergies with other water management objectives (including flood control, water quality protection, and groundwater recharge) recognized. About our Presenter- Ted Grantham is a cooperative extension specialist and adjunct professor of climate and water in the Department of Environmental Science, Policy, and Management at U.C. Berkeley. His research explores the relationships between hydrological and ecological processes in studies relevant to the management of water resources in California. The presentation will be held on Tuesday evening, February 12th from 6:30 - 7:30 pm, in the Multipurpose Center, building, N-12, at the Nevada County Campus. Come early and enjoy a meet-and-greet and refreshments at 6:00 pm. 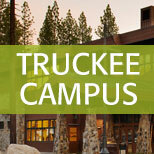 The Nevada County Campus is located at 250 Sierra College Drive, Grass Valley, CA 95945. 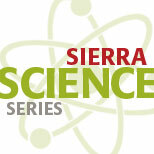 Talks are in the Multipurpose Center Building N-12. Parking is $3, and you can purchase permits at the kiosk machine at the main entrance to the campus. TT Insights - What's Wrong with Prisons?